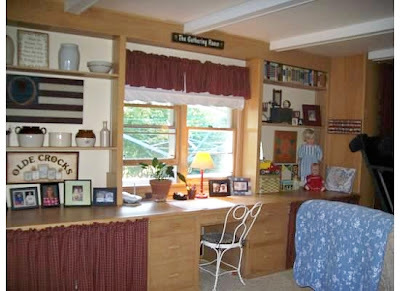 I am still working on getting my den back into shape after the painting of the 20' built-ins (two closets, desk, under counter cabinets, and over counter shelves) on the far wall. Today I am sharing a fun new collectible/decorating piece for the desk part of the built-ins. 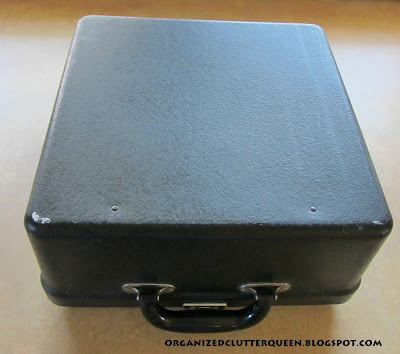 It's a 1947 Royal Quiet Deluxe manual typewriter with case. I am not a typewriter expert, but I researched the internet a little for some information on my new find, and I learned that the 1947 model was the last Quiet Deluxe to feature glass keys. 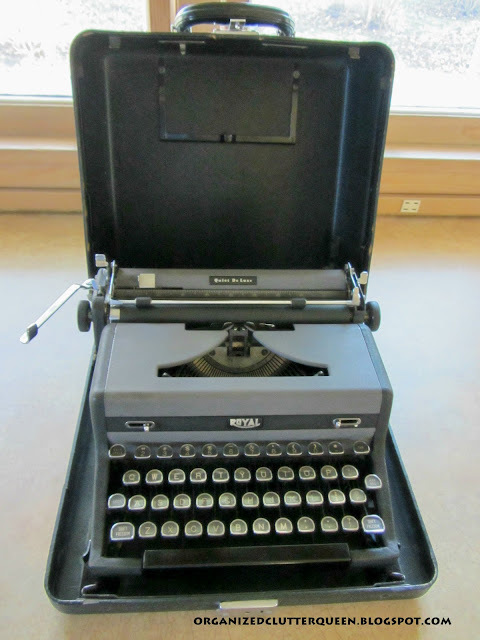 I also learned it was a favorite portable of famous author, Ernest Hemingway. Prices were all over the board from $20 - $600 for refurbished models. 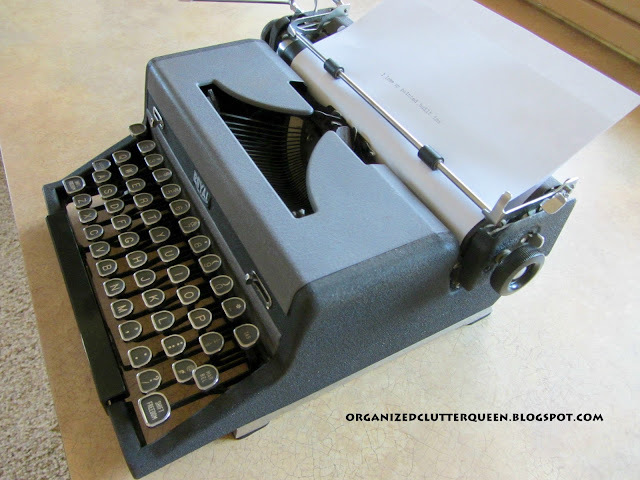 My typewriter was purchased for $20 at a local consignment store. It looks to be in terrific shape, and I have tried it out. The ribbon should probably be replaced, but it worked great. The desk in the den is hardly ever used as we have two other desks in the house. This is a perfect place for the typewriter. That pretty much sums it up! I love the painted built-ins. I will show you soon. Wow! 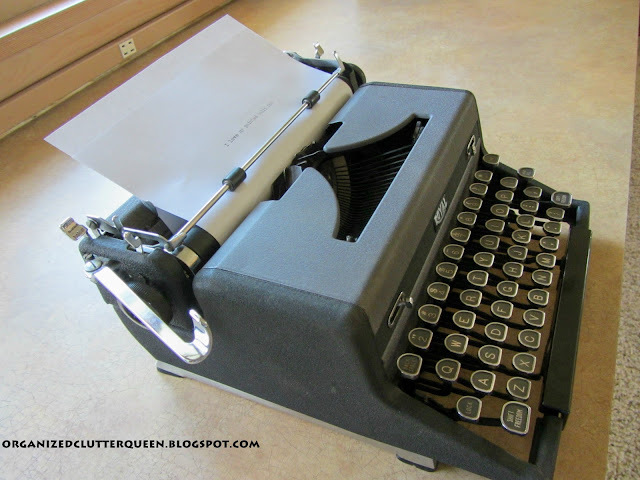 You absolutely STOLE that typewriter-- 20.00?? What a deal -- I love the shape of the keys and your office looks great! Haha! Love the last photo. This is a pretty little gem. You can get replacement ribbon on Ebay. Just use your original metal spools. We keep a stack of post cards near the machine and let guests, friends and anyone who would like type out postcards to send out after their visit to our home. 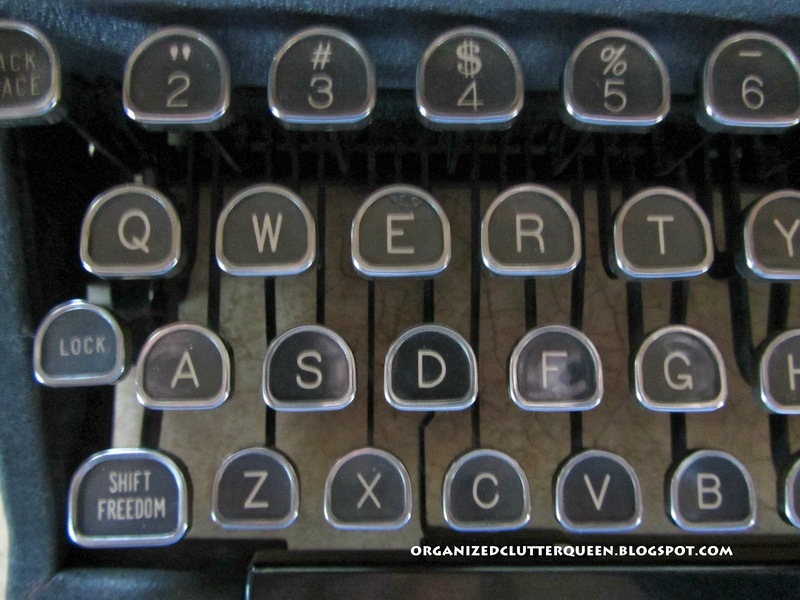 Great deal on the typewriter. Don't you just love the bell sounds when you need to go to a new line! I LOVE using vintage typewriters in decorating...yours is so cute! Ooh, I love it. 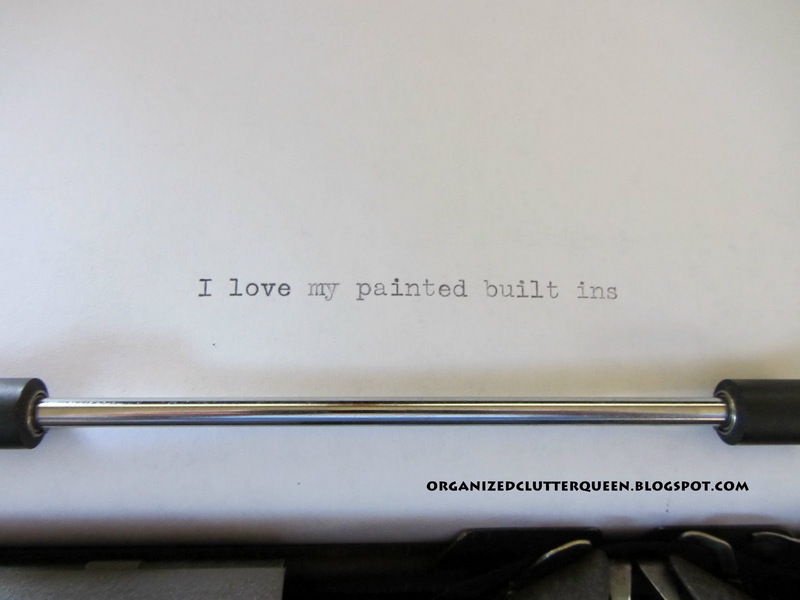 I'm crazy about old typewriters and pick them up whenever I find them cheap enough which isn't too often these days. $20 is an amazing price. Nice Royal! If you check the serial (top-left under roller) you'll see that it is a 1950-1952. The 1947 has round keys.